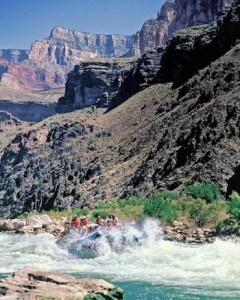 You have to be there to know what a wonderful trip rafting the Grand Canyon is. The logistics are taken care of by the Western River staff. The food was plentiful and great. The guides were kind, compassionate and fun. The Bar 10 Ranch was a wholesome experience with great personnel that made us feel like family. The whitewater rafting, camping and hiking was safe and enjoyable every moment. The experience provided for appreciation of the terrain, a beautiful natural wonder that can only be experienced to its fullest by participation in a Western River Expedition. Would love to take this trip again. Thank you Johnny, Steven, Nick and Latimer. Without you guys the trip would only be another trip. You made it an expedition it is meant to be.